Our homie T.O.N.E-z hit us up about a special event that he’s a part of. 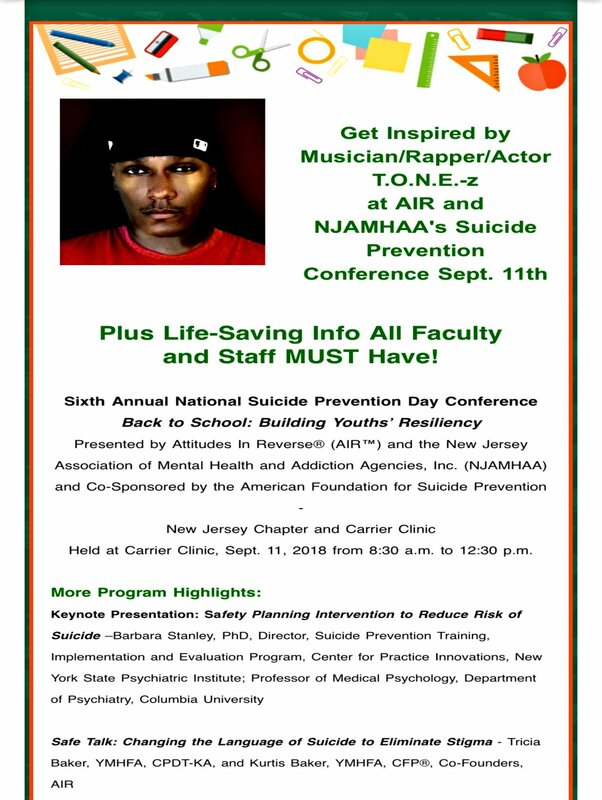 Tomorrow morning (Tuesday, September 11th), he will be speaking at a Suicide Prevention conference in Montgomery, NJ. It’s being hosted by the NJAMHAA (New Jersey Association of Mental Health Awareness Association), and will be held at the Carrier Clinic. FYI, it will cost you $10.00 to get in. Get your tickets Right Here!